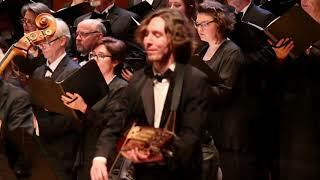 The season comes to a rousing and moving close with “Lux Aeterna” by Morten Lauridsen for choir and chamber orchestra, and Beethoven's Mass in C.
The 2019-20 season has been announced! Our popular holiday show returns in December with carols from around the world and a visit by the North Medford High School Choir. In March 2019, we will continue the exciting new Rogue Valley tradition by hosting First Light, the second annual James M. Collier Festival of New Choral Music. 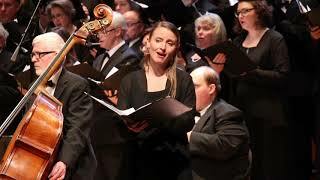 This festival will include concerts of new works for choir and orchestra as well as lectures and related activities surrounding the commissioned music. 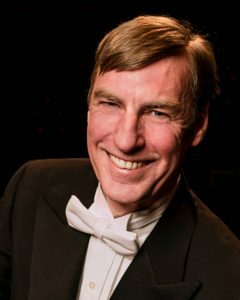 The “Lux Aeterna” concert in May 2019 provides a great balance to the New Works Festival, featuring the choir and a chamber orchestra to perform the works of Morten Lauirdsen, plus Beethoven’s stirring Mass in C.
All concerts take place in the SOU Music Recital Hall, 450 S. Mountain Avenue, Ashland. 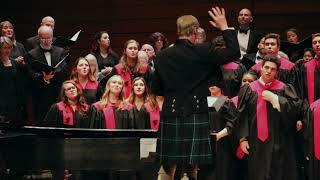 "Prayer To A Guardian Angel"
Southern Oregon Repertory Singers, under the direction of Dr. Paul French, performs Ola Gjeilo's "Lake Isle" at First Light: The James M. Collier Festival of New Choral Music, March 2019 at the Southern Oregon University Music Recital Hall, Ashland, Oregon. Featuring Mark Turnbull on guitar. 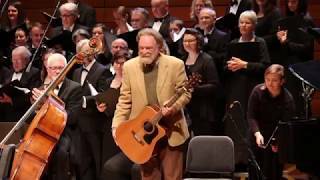 Southern Oregon Repertory Singers, under the direction of Dr. Paul French, performs Patrick Hawes' "Prayer To A Guardian Angel" at First Light: The James M. Collier Festival of New Choral Music, March 2019 at the Southern Oregon University Music Recital Hall, Ashland, Oregon. 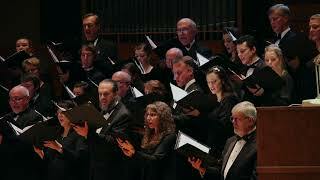 Featuring Jeffri Carrington, soprano. 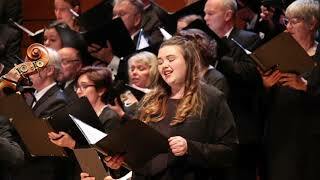 Southern Oregon Repertory Singers and the North Medford High School Chamber Choir, under the direction of Dr. Paul French, perform in Ashland, Oregon on December 16, 2018. 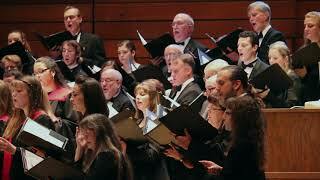 Soloists include Chris Phillips, tenor; Nick Tennant, bass; Aaron Dady, tenor; Eric Smith, bass. Jared Brown is on percussion. 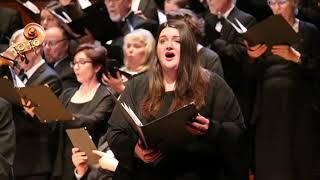 Southern Oregon Repertory Singers and the North Medford High School Chamber Choir, under the direction of Dr. Paul French, perform in Ashland, Oregon on December 16, 2018, with Jodi French on piano. Southern Oregon Repertory Singers, under the direction of Dr. Paul French, performs in Ashland, Oregon on December 16, 2018.